2-Bedroom Residences (Deluxe have ocean view) feature two spacious bedrooms with flat screen TV and private en-suite bathrooms. A fully equipped kitchen, dining area with seating for six, living room area with large flat screen TV and glass doors that open on to balcony with outdoor seating. Spacious master bedroom with king-size bed, flat screen TV, large closet with secure safe, private bathroom with double sink and shower (Deluxe with ocean view) and sliding glass doors on to the ocean front balcony or patio. Terrace with outdoor patio furniture. 2-bedroom residence: 157m² / 1687 sq. 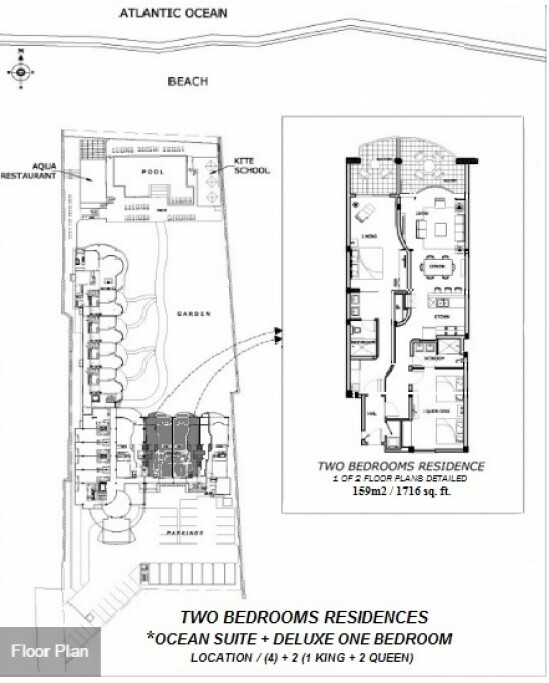 ft. View 2-Bedroom Residence floor plan and location. 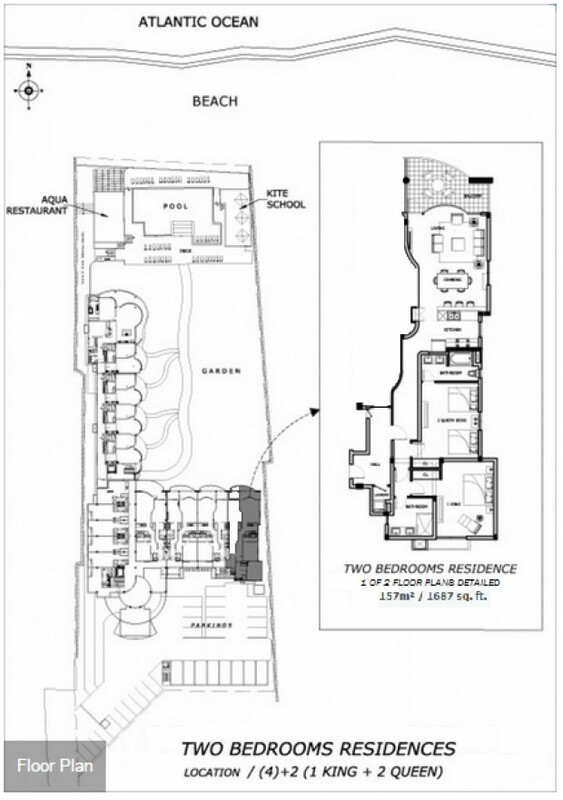 View alternate 2-Bedroom Residence floor plan and location.